Zero Carb Interview: Michael Frieze | Eat Meat. Drink Water. 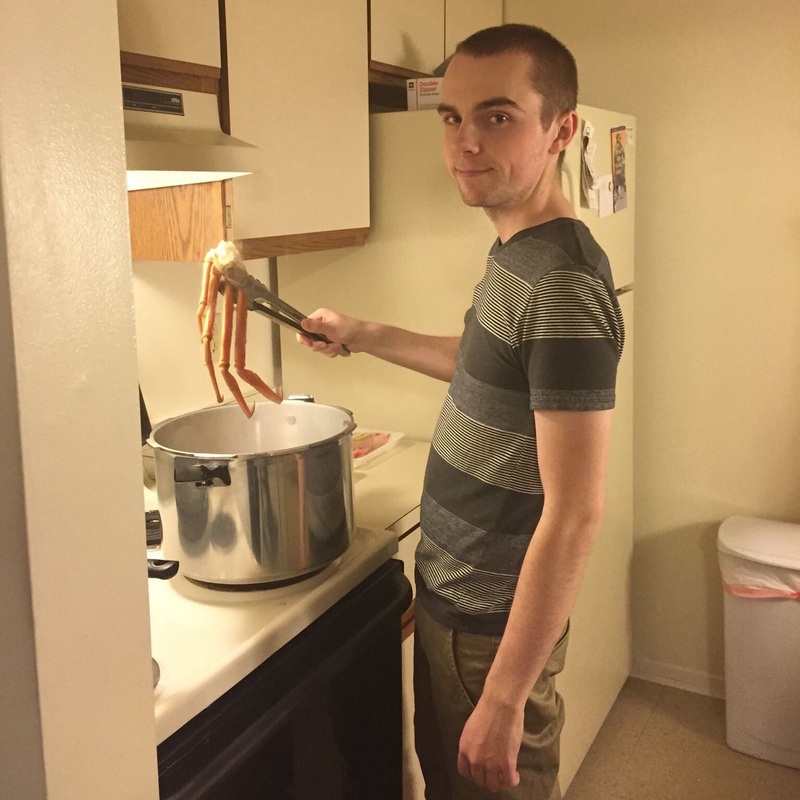 Michael cooking up some crab legs. I started eating a low carbohydrate diet in 2010. I was aware of the all-meat diet, but I didn’t think I wanted to go that far with it at first. I tried the all-meat diet a few times in 2010, but I failed to stick with it. 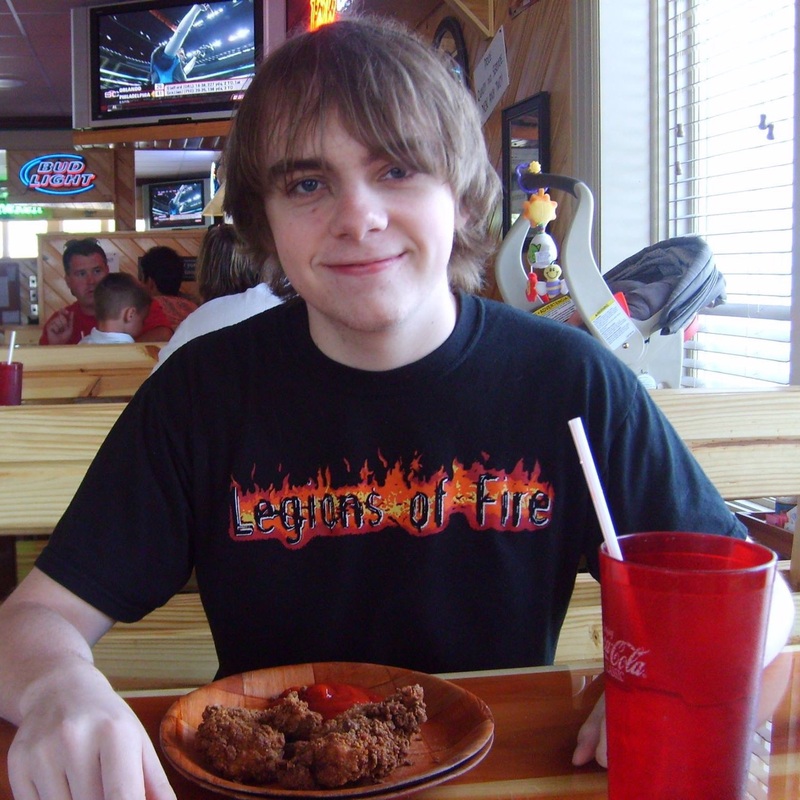 However, I was still not feeling well on a low carbohydrate diet, so in 2011 I tried the all-meat diet again and have been following it successfully ever since. I did not have much of a weight issue. At one point in my life, I did weigh 180 pounds and that was big for me. I was always able to lose the weight pretty easy. I worked a lot and that kept the weight off of me pretty well I think. What motivated me was my health. I have had to deal with asthma every since I could remember. I would last about 2 days before I had to use an inhaler or take a breathing treatment. Pneumonia was always a big fear for me, because the last time it almost killed me when I was about 14 years old. Allergies was another issue that I always had to deal with. Everyday my eyes would swell up and my nose would run. My head would always hurt and my body just felt bad. I noticed vitamin C helped my asthma, but it was temporary. A low carbohydrate diet made me feel better than I ever felt, but I felt drained on it and still had these issues to some degree. Finally, after some time on an all-meat diet, all of that was no longer a part of my life. It made it real easy to stick to this diet after I made it a few months and noticed how much better my life was. It is like living a completely new life with a new set of lungs. I can run for miles and still breathe properly. My nose rarely runs and I only get a cold a couple of times per year. I never get that sick, and – when I do get sick – it only lasts for a short period of time. I used to always be sick! I noticed that if I eat even 1 cup of vegetables, I will have symptoms of asthma within 1 to 2 days afterwards, so I don’t eat them and don’t ever plan on eating them again. It took me a long time to adapt mentally and physical to this diet. I have always eaten a really bad diet and I think that played a big part in it. I tried to go all-meat a few times before I actually was able to accomplish it. The so called “keto-flu” was hard for me to get through and lasted a couple of weeks. A low carbohydrate diet was much easier for me to get through, but even then it was hard to go from that to all-meat. Every time I tried all-meat, I would feel so run down. I had no energy, I was very nauseated, and my head was pounding. I could barely get out of bed after the 2nd or 3rd day of all-meat. I gave up many times after the 3rd or 4th day and I just kept trying until it worked I suppose. The mental part of it was a little easier for me to deal with than the physical part. The mental struggle just lasted much longer. I remember having dreams where I would “accidentally” eat pizza or ice cream and feel this horrible shame that would wake me out of my sleep. After years of eating this way, its easy now. I could not imagine eating any other way and its delicious. Michael prior to adopting a Zero Carb diet. What got me interested at first was a couple of my friends were doing the Atkins diet. I thought it was a little ridiculous, so I started reading about it and came across Owsley “The Bear” Stanley post on a low carb message board. I was already aware of The Bear because I enjoy the music of the Grateful Dead. That sparked my interest a lot more and I read every post he made at least twice. I could not argue with it and I tried. It sounded crazy to me at first and I still did not plan on trying it. However, I was starting to get interested in this way of eating and the culture of the Inuit Eskimo as well. That lead me to reading books written by Vilhjalmur Stefansson, such as “The Fat of the Land.” I think this book convinced a lot of people. One of the things that really made sense to me was the fact that 200 Eskimo skulls were found and they did not show any signs of tooth decay. Also, another 600 (or more) skulls were found from the Icelandic middle-ages that showed no sign of tooth decay and they ate a diet of mostly meat as well. I could go on and on about all the contents of that book, but I will leave that up to the reader to read it for themselves. Another great book is Gary Taubes “Good Calories, Bad Calories.” All of these books are already mentioned by other people interviewed here and that shows how relevant they are. I mostly eat meat, but I do eat eggs a lot too. I eat 7 or 8 eggs in the morning to get me going with a cup of coffee. I add about 1 Tablespoon of heavy cream to my coffee. I don’t eat cheese for the most part. As much as I love cheese, it does not agree with me. My diet is mostly beef. I am not sure of the percentage. I don’t really pay much attention to that. I count enough in my calculus class. I eat fish, chicken, eggs, and even pork sometimes. Mostly, I eat steak. I like ground beef, but my girlfriend Samantha Taylor – who also eats an all-meat diet – has IBS issues with ground beef, so we don’t eat it as much. We buy bulk steak and cut our own steaks off of it. That is mostly what we eat and makes up the majority of our diet. I love boiled fish of all kinds and I use The Bear’s chicken recipe when I make chicken. 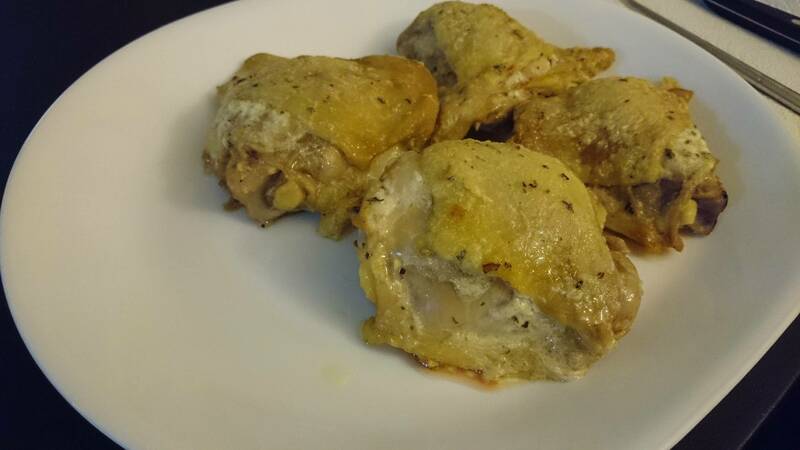 I use bone-in chicken thighs with the skin still on them for the recipe, instead of an entire chicken. I just like the thighs and the legs a lot. It is probably the best thing I have ever tasted. When I cook beef, I cook it rare. When I first started this diet, I cooked all meat well-done. I could not get myself to eat rare meat. Now, I have to eat it rare. The longer I do this, the more rare I like it. When I cook my steaks, I let them sit out for a couple of hours and get the frying pan really hot. I cook them for a small amount of time on each side and then let them sit in the pan for about 5 minutes or so. It is warm all the way through, but it is still very rare and incredibly delicious. I swear the more I eat it, the better it tastes. I do not add extra fat to anything really. I add a little butter to my eggs and a little cream to my coffee. I find that if I eat too much fat I get nauseated. That tells me I don’t need anymore fat. If I do a lot of physical activity, I will want more fat than usual. I do not limit myself at all. I eat until I am full in the morning, and I eat until I am full at dinner. I am not afraid to throw out a little extra if I cant eat it. I don’t like to eat and not feel satisfied after. I have eaten liver a couple of times. I do not eat it often at all. It does not taste all that good to me, but its not horrible. I do not consume bone broth. I eat 2 meals per day. In the morning and dinner in the evening. Sometimes, I only eat in the evening if I am really busy. I don’t really get that hungry throughout the day. I eat a lot at dinner. I eat about 2 to 3 pounds of meat per day. Maybe, more. I do not eat grass fed or anything like that. I am a college student and can barely afford to eat as well as I do. I eat regular commercially-produced meat from the grocery store or butcher. I drink coffee in the morning. About one cup per day and I really enjoy it. I buy freshly roasted beans and grind them myself. I use water that has a temperature of 180 degrees Fahrenheit and use an Aero Press. With a little heavy cream, it is a highlight of my day. I drink a lot of water too. I don’t drink tea or anything else. 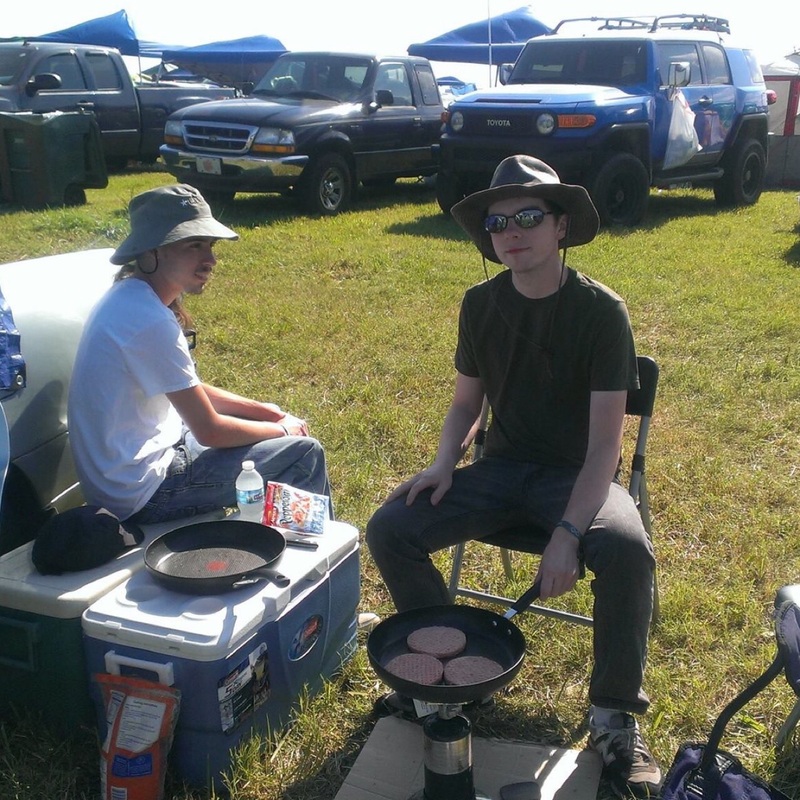 Michael pan-frying burgers at an outdoor event — taking his lifestyle with him. I do not add salt to anything most of the time. I do eat salt when I eat bacon, however. When we buy bacon, it is low sodium bacon and I usually only eat about 3 or 4 pieces of it. I find that regular bacon is too salty. I don’t like the taste. Sometimes, I will add a little salt to meat, but it is rare. If I eat chicken with cream cheese, it has salt in it. I use a spice called “Chimmi-Churri” sometimes. It is mostly used for chicken, but it taste good on lots of things. I take vitamin D sometimes. I live in Michigan, and I am mostly indoors during the school semester. I feel that I should consider the fact that I am not getting enough vitamin D from the sun. I do not know this to be true or not. Honestly, I am not very good at taking it. I mostly forget. I probably remember once or twice a week and take about 2000 to 4000 IU. I do not take any other supplements or medications. Together, my girlfriend and I spend about $400 on food per month. Probably a little more if you include the cost of coffee. My tips for being more affordable would be to eat cheaper meats. Eating steak everyday can add up if your eating until you are full. However, it just makes us feel the best, so we do it. Eating ground beef, pork, chicken, and eggs is a bit cheaper. We used to spend more on a carb-based diet, because of all the extra’s like eating out, pizza, ice cream, and other snacks. I do not exercise regularly. I exercise more often in the summer, but during the winter and fall I am always wrapped up in school work. I feel really good when I exercise and I try to make that a part of my life. I will accomplish that goal next. I just wish I wouldn’t have to run on a treadmill. When I look outside, all I see is ice and its not very motivating. In addition to what I mentioned earlier in this interview, I will add that no matter how much steak I eat, I cannot get my weight over 140 lbs. (unless I am actively building muscle). I used to weigh 180 lbs. at one point in my life, and I was always trying to eat less. Now, I eat as much as possible and I stay at a decent weight. It is easy for me to gain weight on a carbohydrate diet. Mental health is another benefit. I do not get a lot of mood swings and it has helped some anxiety issues that I have had to deal with. It just feels good to feel good. I never really had much of a problem with feeling tired, so that did not change much. I can last longer when doing physical activities. Also, once again, breathing is pretty great. I like not being sick all the time. 23. Have you raised children on a Zero Carb diet? If so, what has been their experience? How difficult is it to keep carbs out of their diet in today’s world? I do not have children, yet. It will be interesting to see how that works out! I see a lot of other Zero Carb-ers raising children and doing very well I must say. 24. What do you enjoy most about eating a Zero Carb diet? What I enjoy most about eating all-meat is not being sick all the time and not having asthma. That is enough for me. All of the other benefits are just extra’s. It also makes life easier. My stops at the grocery store are quick. Cooking and clean-up is always easy and the food is always delicious. I enjoy every part of this diet. Michael’s refrigerator stocked with his staples. 25. Do you have any advice for someone who is just beginning a Zero Carb diet? I know that a lot of people say to just jump right into this diet and get started, but my advice is to take it slow. If you ease into it, it is easier to deal with the changes. Some people can get right into this way of eating and have no problems. For others, it is hard. The point of this diet is really to feel better and spend more time in your life doing other things instead of worrying about what you should be eating. However, you are never going to stop worrying until you do the research yourself. Don’t just take someone’s word for it. I was very skeptical when I first started and that made it hard to continue. But the more I learned, the more I was sure of it. Mostly, it is the experience you have over time that confirms it. Only then, will you stop worrying about whether its something you should or should not do. You have been taught to eat a certain way all of your life, and it is incredibly hard to convince yourself that you have always been wrong. Some are willing to do this and some are not. It wasn’t easy for me. Some people will never even consider this way of eating and its perfectly understandable. 26. Are your friends and family supportive of your Zero Carb lifestyle? If not, how do you handle this? I think my friends and family are supportive enough. When I first started, I got a lot of warnings. After years of doing this, I don’t really get any feedback about it now. It is not a topic of conversation for the most part. Every now and then, I try to convince my mother to eat better or someone in my family. However, I have learned to keep it to myself mostly and I think most people are going to live their lives how they want to. If someone is interested in the human diet, they know they can talk to me about it. One thing I would like to share is what it is like to observe other people’s eating habits. When going to the grocery store, you see other people mindlessly pushing around a shopping cart and they have no idea what they want to eat. They seem to be stressed out and confused. It is comical, but at the same time it is disturbing. Also, people always have to snack about every four hours or so. In my college classrooms, people always have a can of pepsi or coke while eating a candy bar or a bag of chips. After eating this way, it is easy to see that the diet of a person is truly based on acculturation. This was mentioned by The Bear and he is definitely right about this fact. Culture is a persons operating system and its not going to be easy to change that. It is much easier to accept things that are packaged properly in a box for you and everyone knows that green leafy vegetables are good for you, right?! 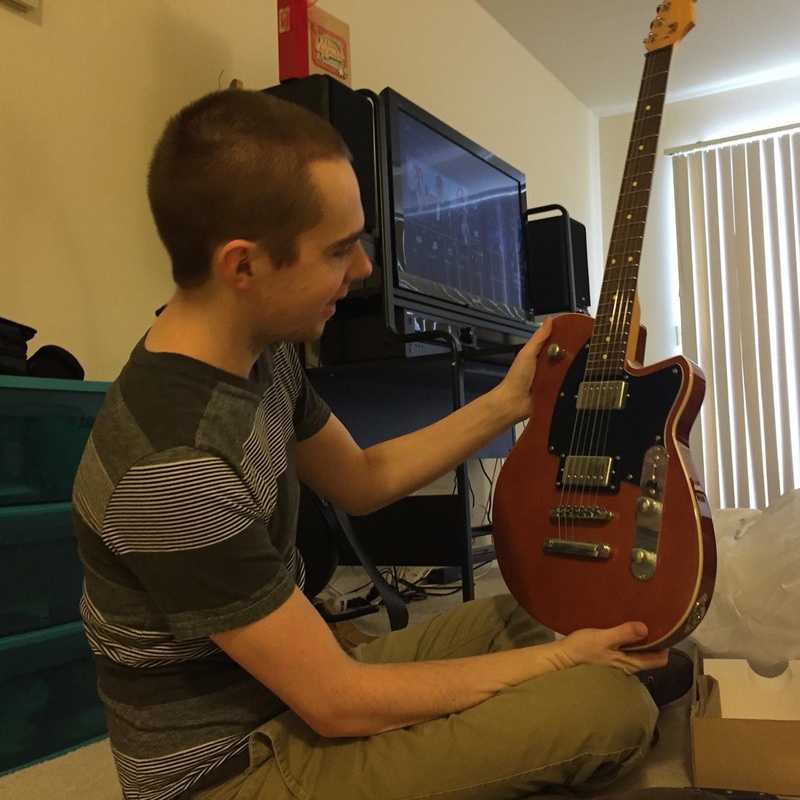 Michael admiring his new guitar. This entry was posted in Interviews and tagged Allergies, Anxiety, Asthma, Diet, Fat, Headaches, Health, High Fat, Keto, Keto-Adapted, Ketogenic Diet, Ketosis, LCHF, Low Carb, Meat, Mood Swings, Nutritional Ketosis, Owsley Stanley, Paleo, Pneumonia, Primal, Sinus Infection, Zero Carb by esmeelafleur. Bookmark the permalink. Pingback: Zero Carb Interview: Kayla Foister | Eat Meat. Drink Water. Awesome article! Do you know the recipe for chicken that he mentioned waa the Bears? A large chicken, 4-5 lbs (2.2+ kg). Carefully separate the skin from the meat by passing your hand gently through the evisceration opening in the abdomen- try not to tear the skin.. Make a mixture of 4 oz (100gm) of unsalted butter and the same amount of Philly cream cheese. Mix spices, like curry or chilli powder, 2 teaspoons with the softened (not too soft) cheese and butter to make a uniform paste- I like a spice mix used in Argentina, called Chimi Churi- a spice preparation which I buy here in Oz from Peter Watson in Melbourne Vic. But it is not required what spices you use, try different mixtures. Using a spoon, place the mix through the opening, some on each side, and squeeze it out between the skin and meat to form a thickness of 1/8″ (3mm). Take the last bit and smear it over the skin, place on a rack over a pan in a 350F (180C) oven, preferably a fan-circulating one, and roast for 60-70 min. It is hard to stop eating this bird. The drippings make a wonderful gravy. I like this style of chook so much that I often roast two birds at once- two people can completely devastate one between them. We normally cook just thighs as they are easy to deal with and the best parts. We will soften a tb. of cream cheese and a tb. of butter in the oven per pound, and then add in the chimichuri. Once you get all that mixed up you just slowly peel up the skin and smother it on. After that we bake ours at 350 for about 40-45 mins. Pingback: Is An All-Meat Diet Really So Extreme? | Eat Meat. Drink Water. Pingback: Zero Carb Interview: Charles Washington | Eat Meat. Drink Water. Pingback: Zero Carb Interview: Kelly Williams Hogan | Eat Meat. Drink Water. Pingback: Zero Carb Interview: Rose Nunez Smith | Eat Meat. Drink Water. Pingback: Zero Carb Interview: Debra Caldwell | Eat Meat. Drink Water. Pingback: My First 30 Days on Zero Carb by Nkem Alozie | Eat Meat. Drink Water. Pingback: My First 30 Days on Zero Carb by Sarah Knight | Eat Meat. Drink Water. 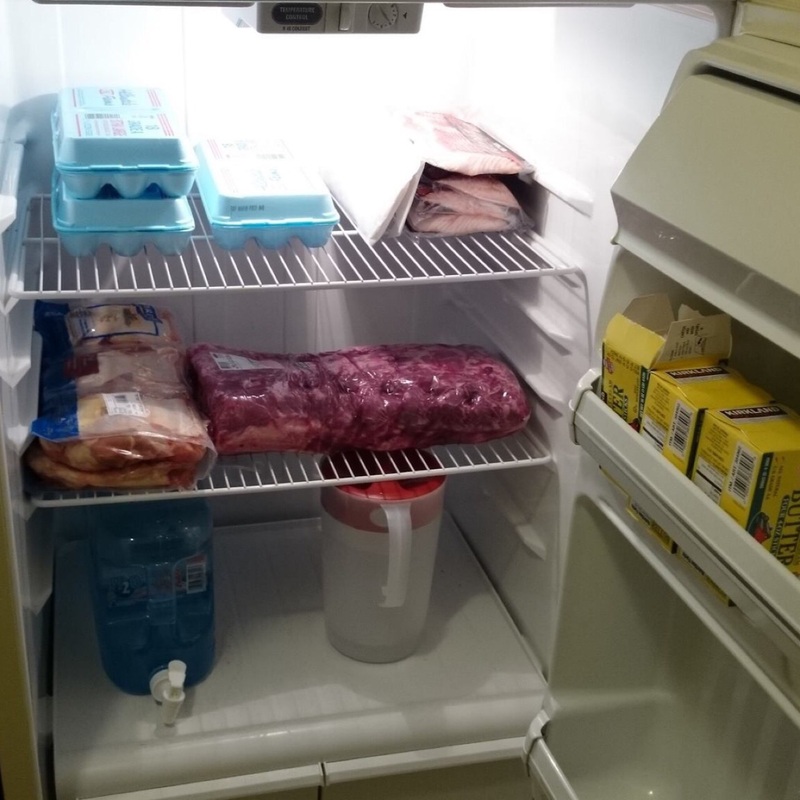 Pingback: My First 30 Days on Zero Carb by Kristie Sullivan | Eat Meat. Drink Water. Pingback: My First 6 Months on Zero Carb by Mimi Brandt Anderson | Eat Meat. Drink Water. Pingback: My First 30 Days on Zero Carb by Marcia Kahn-Markley | Eat Meat. Drink Water. Pingback: My First 8 Months on Zero Carb by Kevin Fenderson | Eat Meat. Drink Water. Pingback: Zero Carb Interview: Lisa Wiedeman | Eat Meat. Drink Water. Pingback: My First Four Months on Zero Carb by Esmée La Fleur | Eat Meat. Drink Water. Pingback: Zero Carb Interview: Kevin Fenderson | Eat Meat. Drink Water. Pingback: Muscle Cramps on a Zero Carb Diet | Eat Meat. Drink Water. Pingback: Is a Zero Carb Diet a Ketogenic Diet? | Eat Meat. Drink Water. Pingback: Optimal Protein on a Zero Carb Diet | Eat Meat. Drink Water. 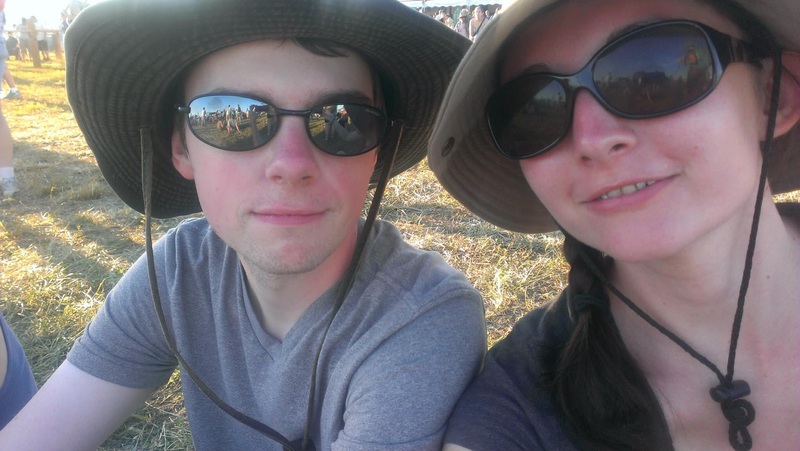 Awesome Article Michael and Esmee! I showed Micheal`s picture to my wife. She asked me, how is it possible for someone to eat 2-3 lbs of meat per day, and remain as small as he is! Pingback: Optimal Fat Intake on a Zero Carb Diet | Eat Meat. Drink Water.